As a part of our on-going ayahuasca retreat series, we will be visiting Rythmia Life Advancement Center. Rythmia is an ayahuasca retreat located in Costa Rica. One of the biggest concerns about taking the steps toward ayahuasca healing is safety. Am I going to a safe place with safe people and taking a safe dosage? Ayahuasca is for serious healing. So the shaman administering the plant medicine should be serious as well. Rythmia has addressed these concerns. 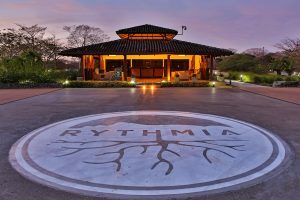 First of all, Rythmia is located in tourist-friendly Guanacaste, Costa Rica and equipped with the most loving and professional staff dedicated to creating a wonderful transformational experience. You can actually feel the love as you approach the all-inclusive ayahuasca resort. When you first arrive you are given a medical examination to ensure that you won’t have a negative reaction to the ayahuasca medicine. All people participating in the ceremony at the ayahuasca resort are given a specific diet because some foods can have bad reactions to the medicine. 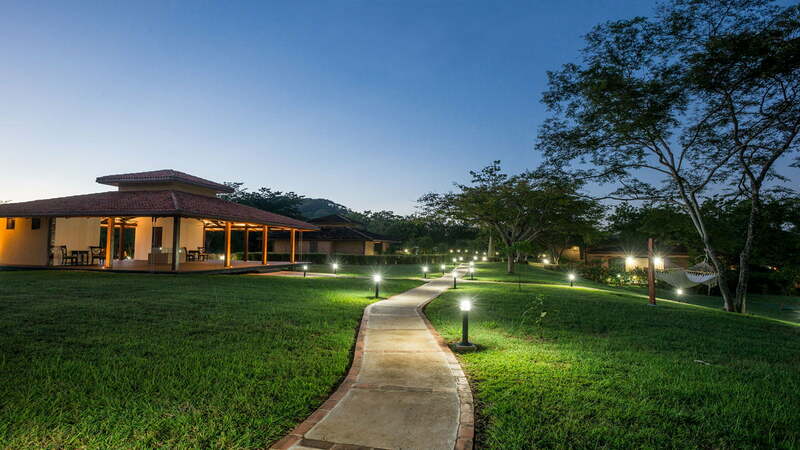 This ayahuasca retreat is actually about transformation. That is why it also provides free yoga, meditation, and other consciousness-expanding classes for its visitors. I loved the people and atmosphere. I can truly say that Rythmia is a place where miracles happen. Ayahuasca is an ancient hallucinogenic plant medicine originating in the Amazon with the native shaman. It combines two unique plants one with the psychedelic chemical DMT and the other with a MAO inhibitor that keeps the DMT from breaking down in the stomach. The plant medicine is used in healing ayahuasca ceremonies that enable people to make dramatic transformations and breakthroughs that are beyond traditional clinical explanation. Because of its famed healing abilities, ayahuasca has become a global phenomenon that attracts visitors that are seeking life transformation for many mental, physical, and emotional ailments. People visiting an ayahuasca retreat should not take the decision lightly. Many times the psychedelic adventure can result in life-altering experiences that cannot be un-experienced. Some of the people that are looking for an ayahuasca experience are looking to cure ailments like: depression, addiction, PTSD, childhood trauma’s, etc. There are another group of people that have heard of the shaman brew’s ability to achieve clarity and success in life, business, and love. Experts claim that visiting an ayahuasca retreat can help breakthrough blockages that are holding people back from achieving what they really want. Some of the minds that are considered foremost experts on the hallucinogenic shaman tea are Gabor Mate, Graham Hancock, and Denis McKenna. These experts have deep insight into the effects of ayahuasca. A google search will bring back a wealth of information about these psychonaut pioneers. Some of these insights include a concept of the separation of self during an early childhood trauma. This keeps you from being the you that you are supposed to be because of the separation of self as a self-defense. It is also hypothesized among some of the ayahuasca experts that participating in one of these ceremonies will allow you to confront the experience and re-connect to your true self. By reconnecting with your true self you are able to access the ability to achieve your goals without holding yourself back with negative thought patterns. When used correctly the tea is said to help you find a happier sense of self by re-writing how the use views the world. This is why celebrities like Lindsey Lohan have accredited ayahuasca to helping cure their drug addictions. The Reality of Truth documentary follows a group of free-thinking psychonauts on their journey to find the meaning of truth. 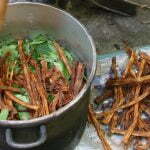 In the process, they cause the foundation of the transformational ayahuasca retreat of Rythmia. One of the main characters “Zappy” is encouraged by Deepak Chopra to take a journey to the Amazon and participate in an ayahuasca ceremony. Zappy then takes his good friend, Michelle Rodriguez, on a trip into the jungle to experience the mind-altering psychedelic under the guidance of an experienced shaman. During the process, one of their friends, Gerard Powell, decides to take a psychedelic journey of his own in order to break his addictions and reverse his depression. Gerard takes ibogaine and ayahuasca to free himself from a childhood trauma that was the center of his torment. During his experience, he is able to confront his demons and become whole again. Gerard Powell is so amazed at the breakthrough, he is able to accomplish that he decides to create a safe retreat where people can come and transform themselves with the shaman tea under the guidance of a trusted shaman. So Gerry decides to create Rythmia Life Advancement Center. But Gerry also wanted to encourage the breakthroughs in a loving environment that encouraged progressive therapies and life advancing techniques like yoga, meditation, breathwork, hydrocolonic cleanse, hemolucent procedures, etc. Rythmia partnered with Shiva Rea to design their yoga classes and Michael Beckwith to design “The Answer Is You” class that helps people let go of negative thought patterns that are holding them back. Rythmia also brings in progressive thought leaders to conduct retreat courses. These thought leaders include transformative events from Foster Gamble, Gabor Mate, Graham Hancock, Kyle Cease, and many more. The stay at Rythmia also comes with Swedish massage, health spa, mud bath, organic food, and much more. I want to visit an ayahuasca center. This looks like it might be the right fit. I have to go there. It looks sooo great. I have wanted to go to an ayahuasca ceremony to help cure my depression. I have been apprehensive about visiting a shady shaman. Rythmia looks nice though. I’m going to check it out. Ayahuasca helps me center myself. Once a year I visit an ayahuasca ceremony. Rythmia will definitely be my next visit. find today. I am always looking online for articles that could assist me. think this is an excellent web site. Great post. This looks like a wonderful resort and I am into meditation and yoga. I’ll see you there. 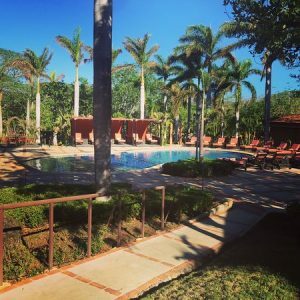 Thanks for the wonderful review on this ayahuasca retreat. It was very useful for me. Consistency and quality. Keep blogging every week. I absolutely have to try this! I have always been leary of ayahuasca because of the seedy underbelly of fake shaman. I definitely will be going here. I need a transformational vacation. I love yoga & meditation and just have to check it out. I have to go here…like now! Simply want to say your article is as astonishing. The clarity in your post is simply nice and i can assume you are an expert on this subject. I am interested in visiting. What number should I call? You can call them on the number on the website https://goo.gl/96A45a. DMT is found in the human body. It shouldn’t even be illegal in the U.S. But this place looks nice. I’ll check it out. Hi there! This article could not be written much better! Looking at this post reminds me of my previous roommate! will certainly digg it and personally recommend to my friends. Just click on the link to their website and call them or fill out a form. Hi, my friend! I wish to say that this place looks incredible! Looks AMAZING! I have been looking into a shaman ceremony like this, but haven’t found the right one. I’ll definitely look into this. Of course. That’s what we do. Makes me want to go. Like now! I travel throughout Central America seeking ayahuasca healers. I will be visiting Costa Rica this spring. I will look into this resort. You are a really persuasive writer. I can see this in your writeup. You’ve a way of writing compelling info that sparks significantly interest. I watched the movie and it looks great! I’m on my way! We post at least once a week. I have been looking for everywhere for the perfect ayahuasca resort. I just can’t go into the jungle and trust someone that claims to be a shaman. I need a place like this. Good share. I might check it out. I have a deep connection with the Earth thanks to ayahuasca. I’ve long suggested that people seeking to get a good understanding of DMT! I simply want to mention I’m new to blogging and site-building and actually liked this blog. More than likely Im want to bookmark your blog post . You definitely come with very good articles and reviews. With thanks for revealing your website page. Love the review. Great movie too. Going to check it out. I have to try this. I have never been to a retreat like this, and I think it could be life changing. There is definitely a great deal to find out about this topic. I like all of the points you have made. At last I’ve identified good article about ayahuasca! Days of research are over now. Thank you, author! You’ve done a great job! Not every person can write as well as the author of this. Many people have problems with composing. It makes me buy papers from many organizations. Today for several eras. I believed i was self-conscious individuals the goals throughout class. However right now We certainly have little idea of idea! Regular people, memory foam cover? Do you know my family? Thank you for your kind words. I don’t think I know your family directly. I’m uncertain where youre obtaining your information, but fantastic topic. I need to spend some time learning or knowing more. Many thanks for fantastic information. I was looking for this information. I’ve been here and believe me, this place is freakin awesome! © 2016 Ayahuasca Today All rights reserved. Want to Learn More About Ayahuasca.